Really, the difference is just too small to justify the costs of the zacto-parts. But hey, it's your money. Wow...How to reply to comments like this? 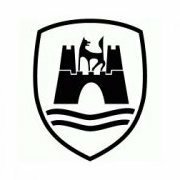 I am a small business, a one man operation, struggling lately to stay afloat. The current economy has hurt everybody and my sales have dropped a lot as a result. I got my start here on ARC when Trumpeter released the single seat Flanker and I decided I'd fix some of the obvious problems with the kit. I did my best to not only correct the parts but to do so as accurately as I could and add as much extra detail as I could to those parts. I spent countless hours researching and making the masters, not settling for 'good enough' but going the extra mile to make my masters even better. 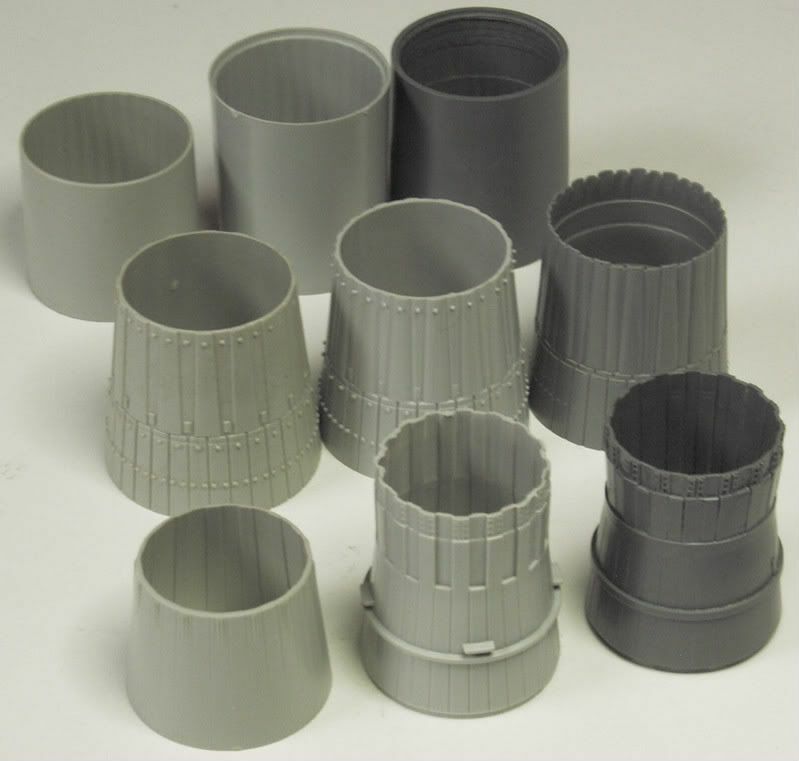 I've done my best to deliver the parts quickly and provide the very best in quality castings. 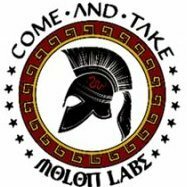 I pour new molds as soon as the old molds start to show any signs of deterioration. I'd like to think that the parts I ship today are every bit as good as those that I shipped just over three years ago when I started the business. I've done my best to keep my prices low only raising them a few bucks since starting despite the rise in costs of materials, postage costs, vendor costs and the overall cost of living. I wish I could drop my prices to make these parts more attractive to those who are considering but not buying them. 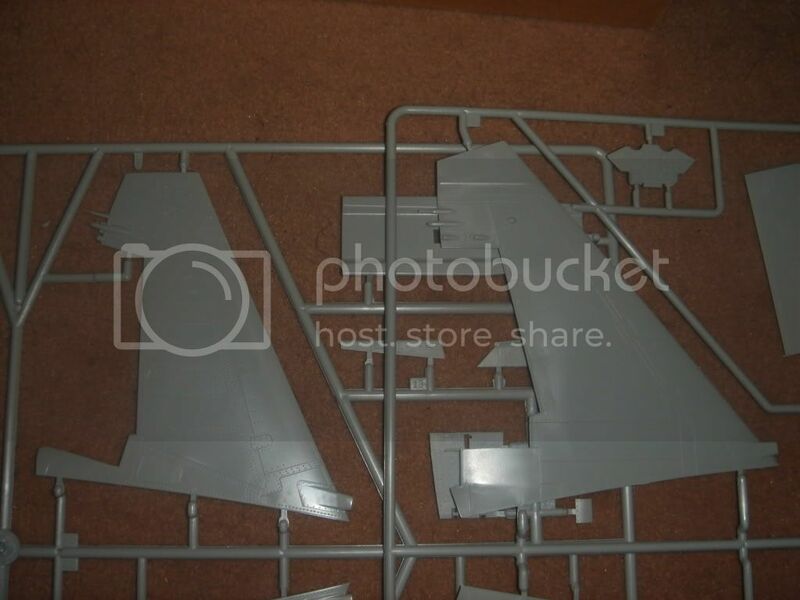 Are my Su-27 parts 'necessary' now that Trumpeter has 're-tooled' the kit? 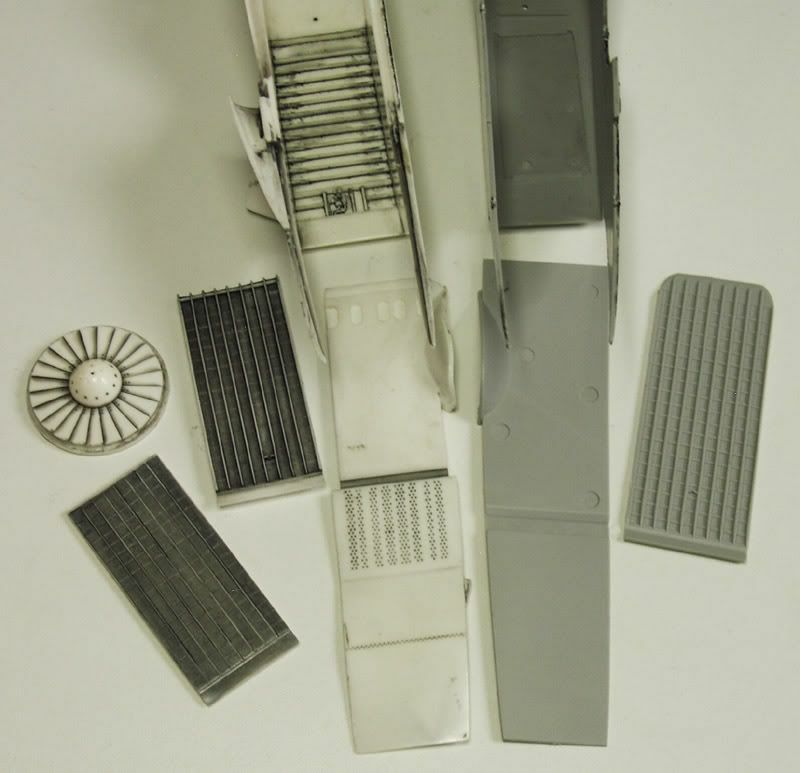 I honestly believe that they are a much higher quality than the 'new' kit parts and they will enhance your model. Unfortunately the new kit is about $200 so spending the extra money on my parts is a stretch for most. I recently ordered the kit and am waiting for it to be delivered. I've seen the parts in person but not side-by-side with my parts other than the pictures posted here on ARC. I am convinced that they are nearly direct copies of my parts (even more convinced because I received an e-mail (from a third party) over 6 months before the 're-tooled' parts were released informing me that Trumpeter had a set of my parts and was using them as their "main reference". As mentioned in a previous thread), especially since they even copied my mistakes. 1. Would Trumpeter have 're-tooled' these parts if I hadn't received so much support for my correction set? 2. If they had 're-tooled' them would they have gotten the shapes correct this time around without using my parts as their "main reference"? I am grateful to those of you who have supported my business and to those who will continue to order the parts. I'll do my best to keep producing good stuff for you! Thank you for your support Ghostkiller! Your parts will ship tomorrow. Give my very best to your girlfriend! If u want t build a nice scale model without investing some additional money in aftermarket goodies, go with it. IMHO I will consider at least a pair of Zactomodels items for my future 1/32 Flanker and I will get fun at the end of the day. 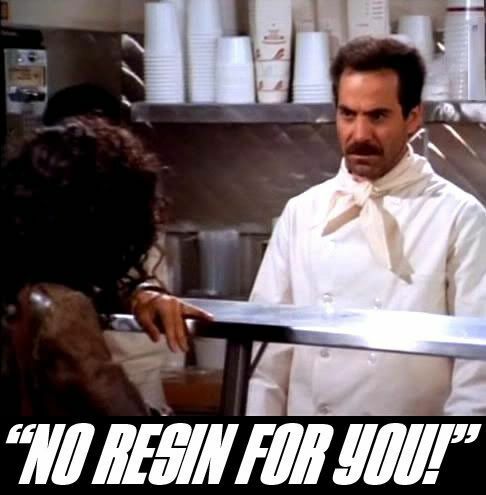 I use to do the same when casting resin... plenty of boxes full of them. Hey Chris, why not selling those minor flaw resin parts at half price through ARC forum then some of us could save some money and u could improve your sales???? Zactomans resin is Top notch and must have if you're working on a Su-27. As for the 2 seater Su-27 I'll still go with most of his stuff. Heck, I would love to see this Chinese company starts paying on it's royalties to Chris. 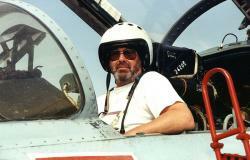 If it wasn't for him I would have never purchased the Su-27, A-7E, Mig-29M, and soon to add to the collection F-100. Who, if anyone makes the 1/32 Ukrainian markings? I have looked all over to no avail. Linden Hill has announced them on their site. Outstanding! Thanks for the heads up. I purchased your set and am extremely impressed with the quality and detail.You are definitely a master craftsman.I'm sorry to see that your sales are down because of Trumpeter ripping you off. One suggestion to improve your sales; how about making a Su-33 conversion to package with your update set. I doubt Trumpeter would follow that, and I think the demand is there based on how much the SOL 1/48 conversion fetches on Ebay. I would definitely buy another set if you did that. 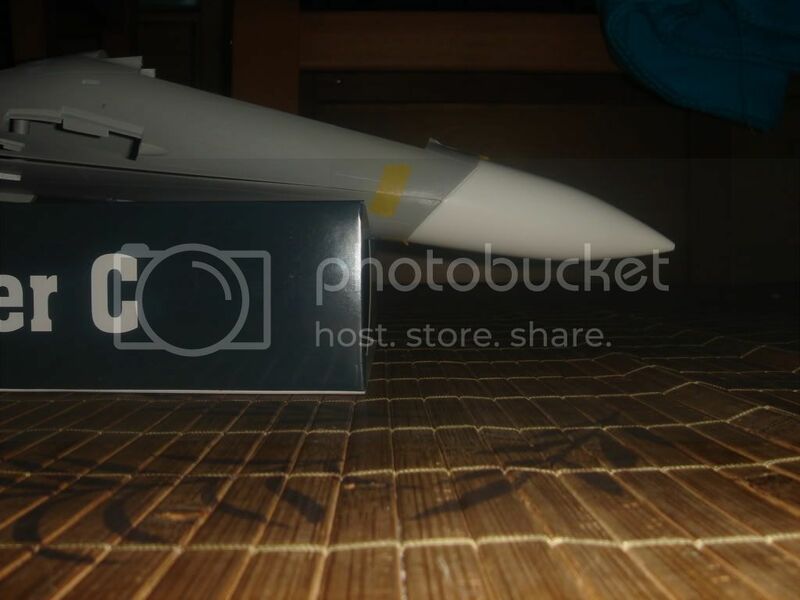 I am also waiting for the Revell Mig-29A set and am looking forward to the YF-23 kit as well.Keep up the awesome work, and thanks for doing it. SU-33 conversion...now that I would buy! As well as Zactoman's existing correction set, you would need completely new wings, canards and a new tailboom. .....and a new twin nosewheel. If you wanted folding wings, that would be an extra complication - including a folding tailplane. Not to mention the in-flight refueling probe, the canards shoulders, new windscreen with offset IRST all that means a new forward fuselage section and I guess the MLG struts are some thicker, at the end of the day u will use only the central fuselage from the original plastic kit, everything else is different on Korabelni Flankers. Zacto, as soon as I save up the money, I'll be getting your parts for my Flanker build. If the parts were to some day be resold they would not be representative of the quality of product that I sell. ...how about making a Su-33 conversion to package with your update set. As mentioned, this would be a relatively monumental undertaking. I've already got too many of those on my plate. Thanks again for all the support and words of encouragement. Sorry for my previous babbling diatribe. I'm sorry you feel that way, but I wasn't talking about the quality of your products. Only about the fact that Trumpeter has pushed you out of the market by correcting their mistakes. I was only talking about the nose though, the canopy frame and intakes are still way better than theirs. Hey Zactoman i sent you an email trying to get some bits from you dont you want my money!!!!!!!! I need them to finish my SU-33! It may not be accurate by zactomans standards but it will definately help to make it fit on the shelf LOL. I might not go as far as increasing the wing area but ill do all the detail in the wing fold and tail, dual nosewheel dont know how ill manage the windscreen but ill work it out when the time comes. 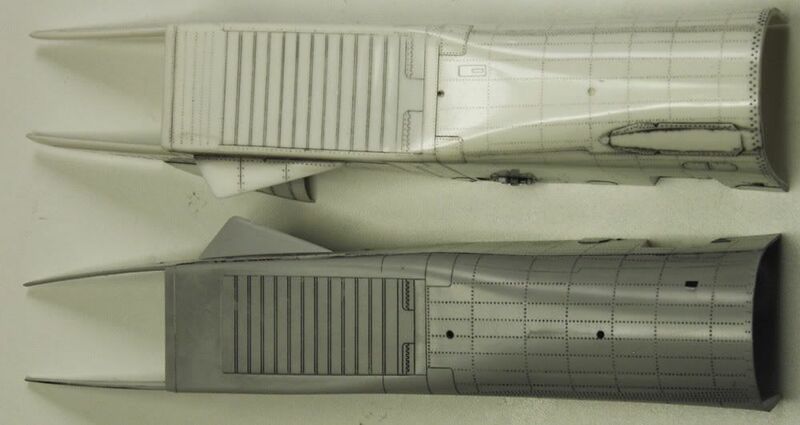 On the left is the original Trump Su-27B nosecone. Note how it swells outward toward the front. It's also short by approx. 3/16". In the center is the new 'retooled' nosecone. It has been lengthened and is much more streamlined. 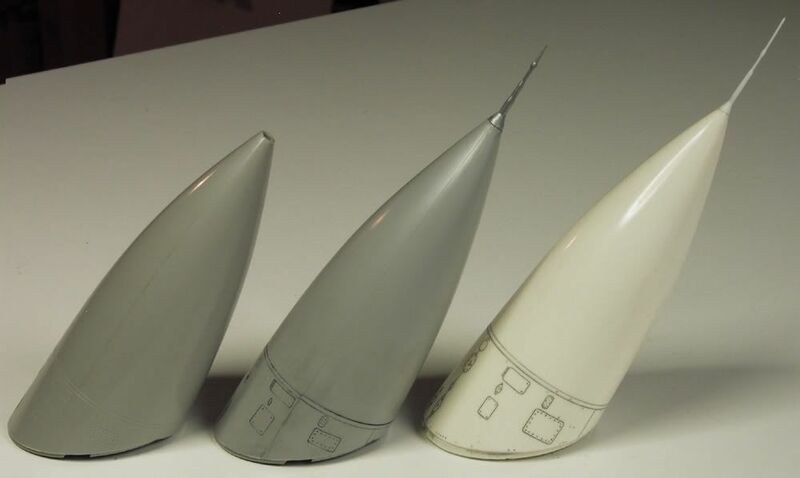 On the right is the Zactomodels nosecone. Note the subtle kink/swell about half way down the forward cone. Also note the difference in the panel lines. This becomes very obvious when the model is painted as the dielectric panel (the large squarish panel on the Zactopart vs. the more rectangular panel on the Trump part) is usually white or dark green and really stands out on the light blue camo. And then there's the pitot. The big difference is the surface detail. The most critical area to me is the louvered vent detail. Though Trump improved it from their original release it's still just straight scribe lines rather than angled louvers. Plus the mad-riveter struck again! The biggest problem with this is around those louvers as the rivets are a much bigger and more dominant feature than the louvers. I'm surprised that they didn't add the hole and gear latching mechanism. Again the louvers are the dominant difference. Here you can see how the contours match up. The Trump parts have a slightly bigger radius next to their narrower bypass doors. I'm guessing this was to make the part easier to mold since they are using a four part tool. Also note that they didn't correct the shape of the triangular ECM blade antenna or add the mounting plate for the landing gear brace hump. They didn't change the geometry or add the hole pattern on the splitter plates but did widen them. They also widened the FOD guards,,, by adding an extra row to the grid! Now their grid is nine squares wide which puts the latch in the center. They still don't offer an option to display it with the FOD guard down, though they re-tooled the intake fan? (which didn't show before and still doesn't...). I'd say Aires has a right to be upset as well. 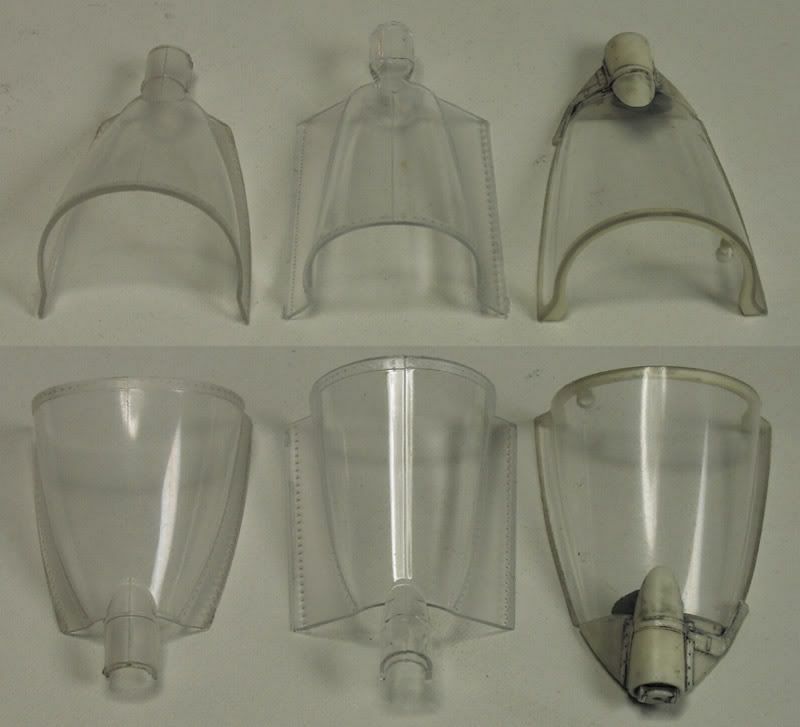 On the left are the original Su-27B parts. Center are the new tooled parts. On the right are the Aires parts. Small children and anti-Trumpeter-bashers should immediately change the channel and leave the room! 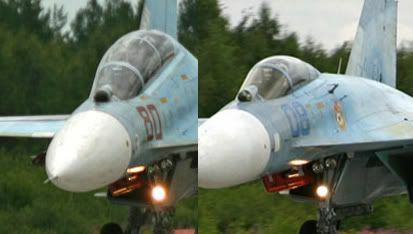 Left is the previous Su-27B, center the new Su-27ub and right is the previous Zactomodels Su-27B correction. 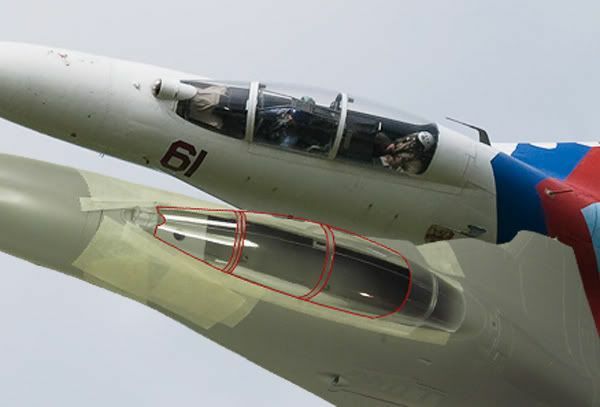 For some reason Trumpeter decided to make the windscreen much narrower than on the Su-27B. Note how much wider my previous correction is at the front of the windscreen. There should be a contour where the fuselage meets the LERX. The radius of the contour is subtle and passes just above the gun panel and gets tighter as it approaches the front of the plane. It's a subtle feature that shows up in certain photos when the lighting is right...>>>Here<<< for instance. Despite the problems it's a nice kit if you can buy one for closer to $100.00. The tandem two seater is Su-27UB (for Uchebno Boyevoy - Combat Trainer). 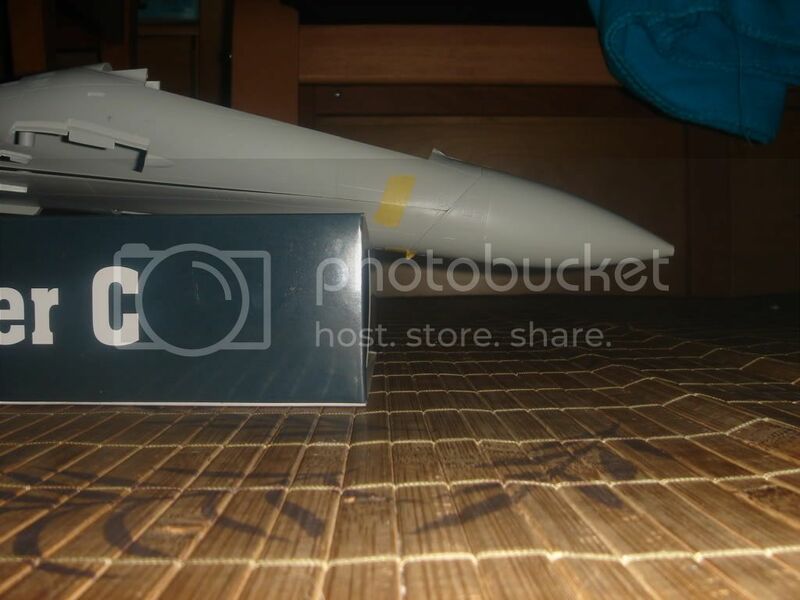 It's ASCC Reporting name is 'Flanker C'. Hehehe...even when Trumpeter are copying parts they still mess up...:D Very well done comparison and research Zactoman - some pretty weighty arguments there.